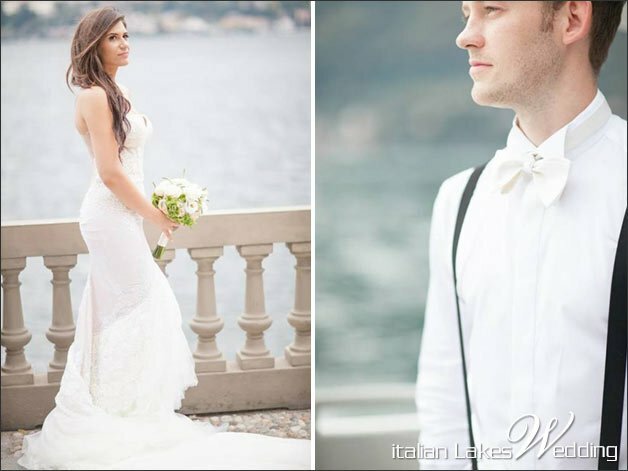 any couples dream about getting married on Lake Como. Its stunning landscape and villas are breath-taking even when sun is not shining. 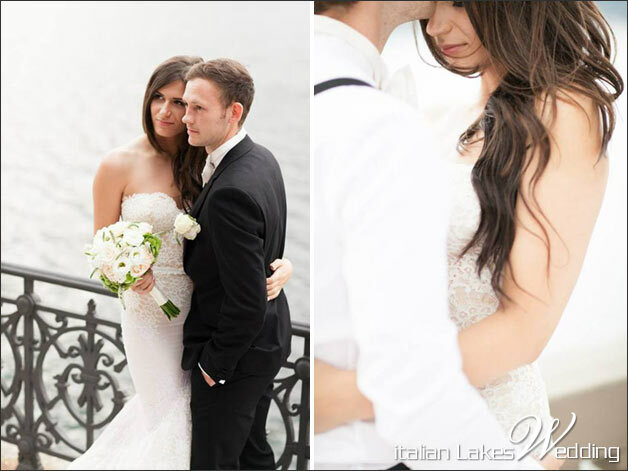 Today we are telling you about a young and lovely couple coming from UK. 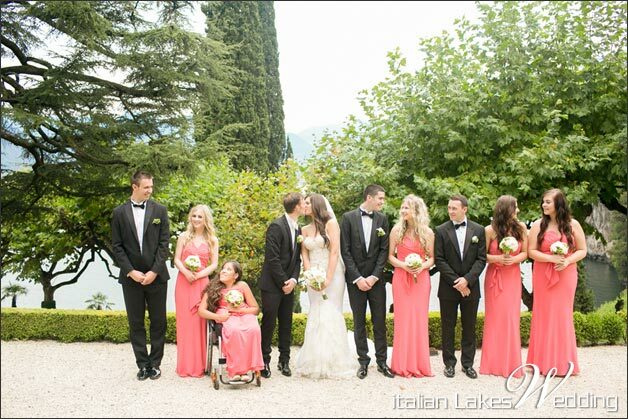 Kirsty and Joseph, with their close families, made their love shine in a cloudy but still amazing day. 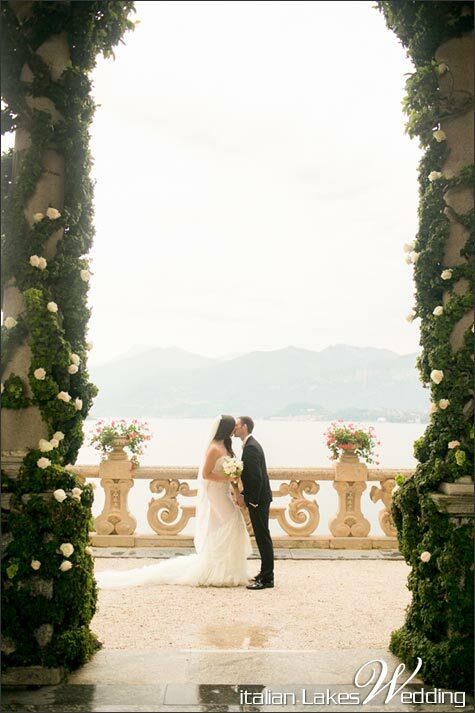 Unique venues on Lake Como and their pure love made their wedding an unforgettable day. 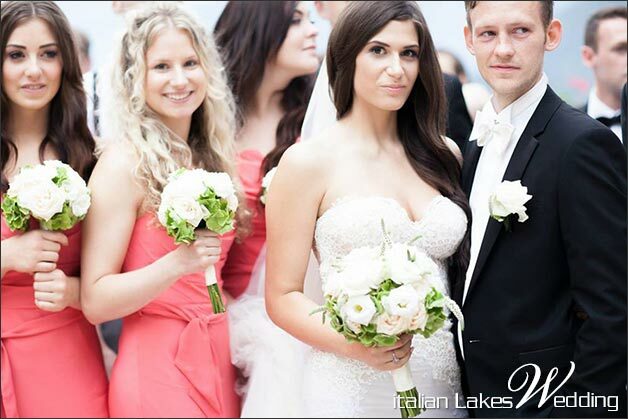 We were very pleased to be their wedding planners and coordinators! 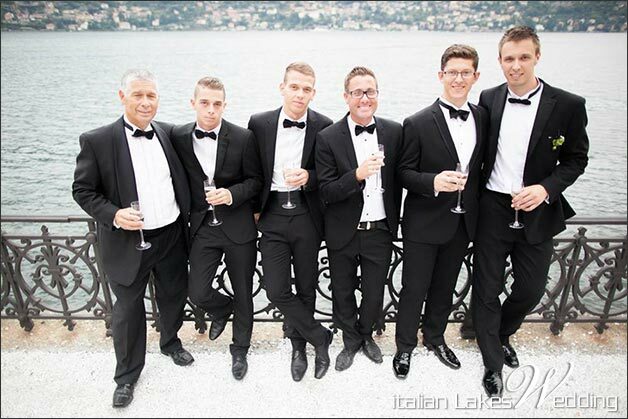 …a lovely and luxury resort overlooking Lake Como. 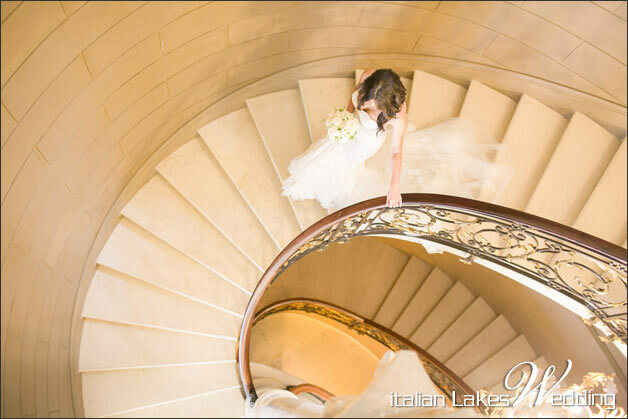 Kirsty got ready in one of the most beautiful venue on our lake. 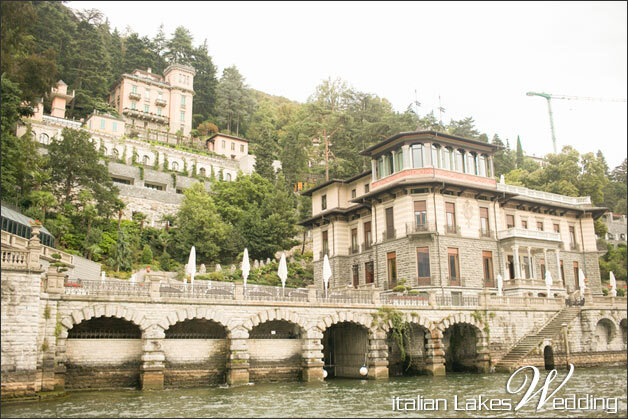 Lake Como is well known for its historical villas overlooking the lake. Many of these are now exclusive hotels and resorts where you can enjoy all the beauty of Lake Como. If you would like to pamper yourself, this is the right destination! 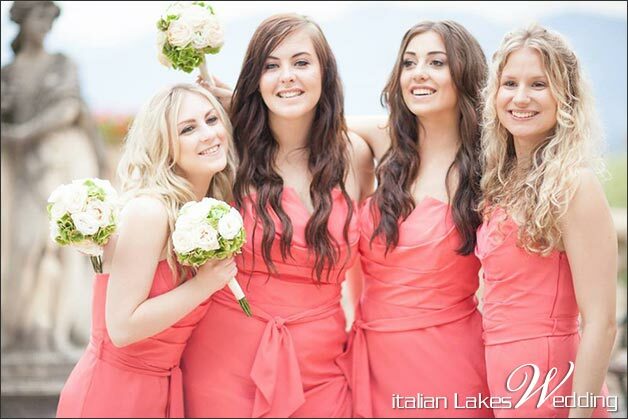 Kirsty knew it well and she chose an exclusive suite to get ready with her mother and her bridesmaids. Like a sinuous mermaid she took some beautiful pictures before leaving by boat to reach her thrilled prince charming. 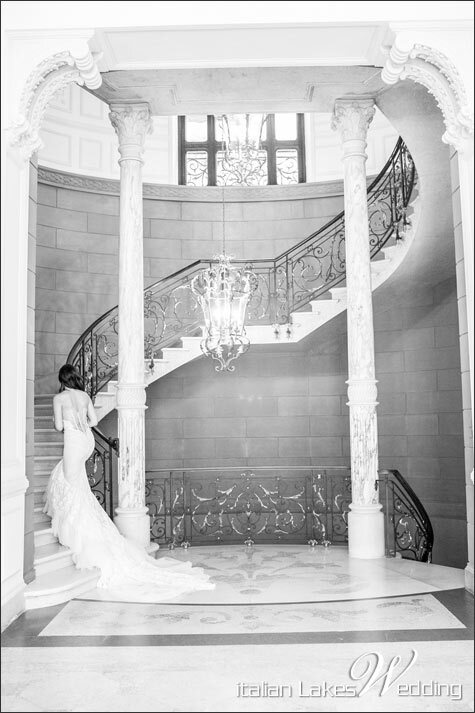 Have a look at these amazing photos taken by her great photographers Jana Williams and Katie Piper Julia! 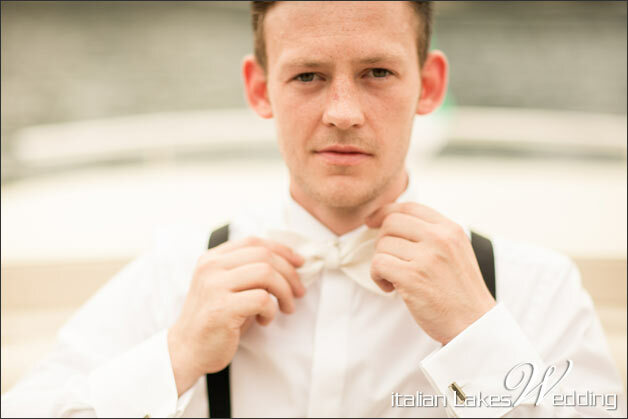 In the meantime Joseph traveled to Villa del Balbianello where he waited for his bride: he was so nervous and thanks to his best-men waiting time was a little easier! 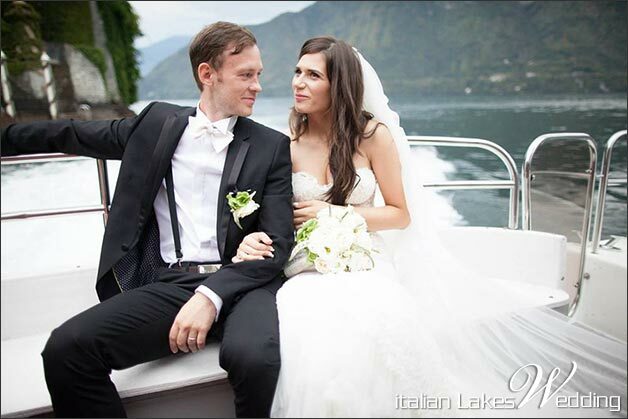 We often have the chance to tell you about the beauty of a wedding ceremony at Villa Balbianello. 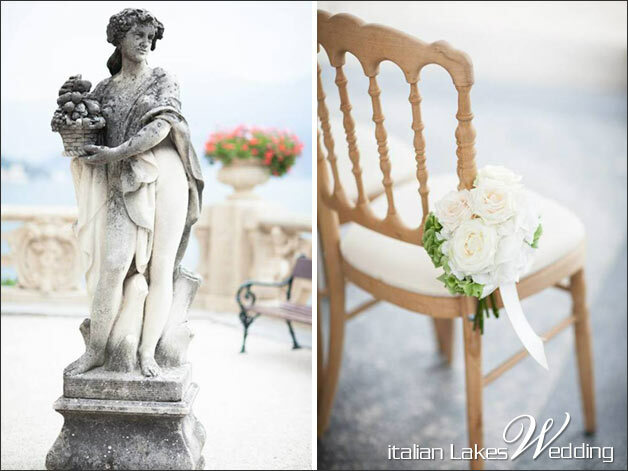 Villa del Balbianello is located on an stunning promontory on Lake Como. Under the Loggia everything was set up to celebrate Kirsty and Joseph’s wedding ceremony. White roses with green and white hydrangeas bouquets on chairs and white roses on column’s greenery… a lovely and romantic touch! 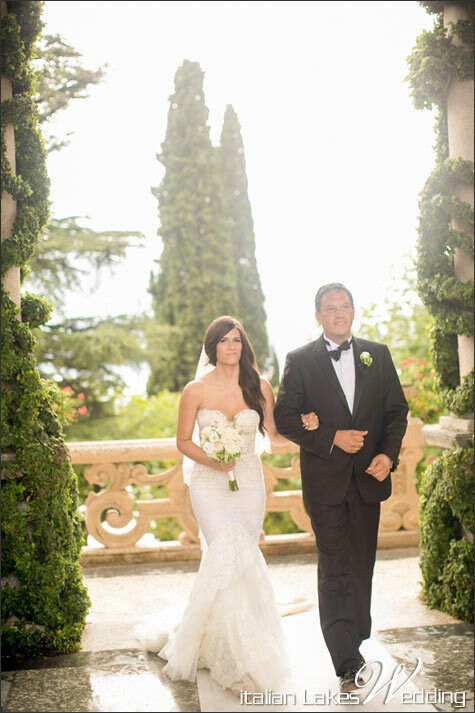 Kirsty walked down the aisle of the Loggia with her beloved dad, and then she finally met Joseph and ceremony could start. Both our young lovers were anxious to tie the knot! 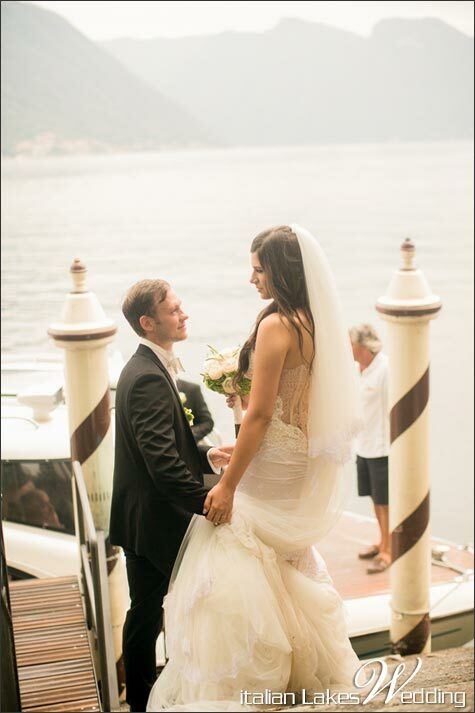 Before leaving Villa Balbianello all guests enjoyed newlyweds’ joy and love: beautiful feelings immortalised in these great pictures! In spite of clouds and some rain drops during the ceremony our bridal party reached the exclusive resort they choose for their reception. 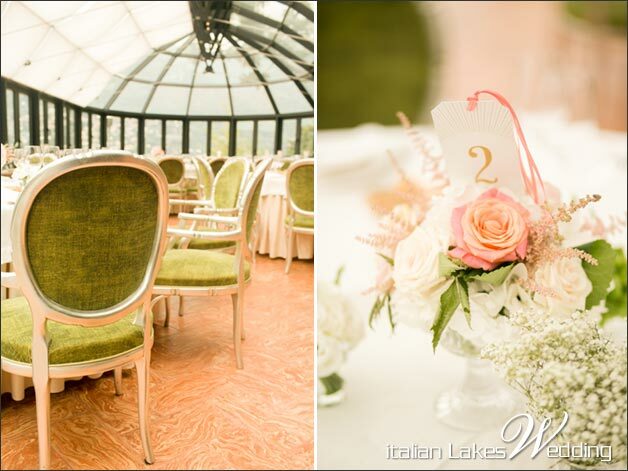 In a stunning restaurant with glass walls and ceiling, overlooking the lake, we set elegant tables to accommodate guests and newlyweds. 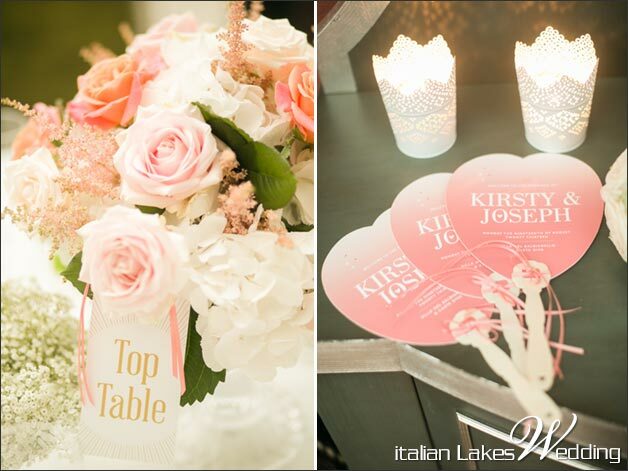 It was a very romantic scenery with pink and white floral touches created with roses and baby’s breath. 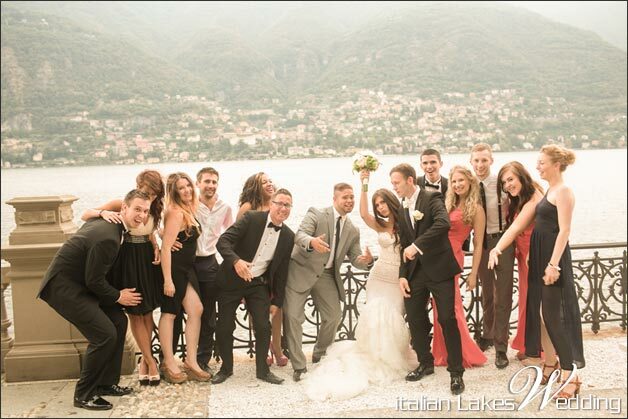 The perfect place to enjoy Lake Como view and the gorgeous Italian food! 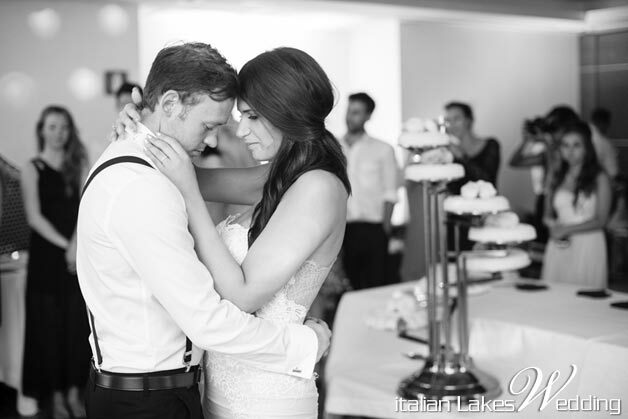 Our lovely couple wanted to enjoy and dance the most they could! That’s why the party continued in one of the soundproof dancing room of the resort! We organised for them an great dj set and a rich open bar! 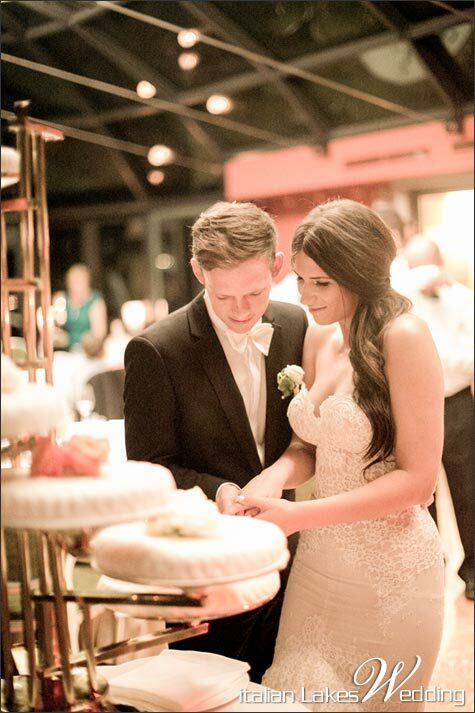 Before dances Kirsty and Joseph cut here their seven tiered cake. 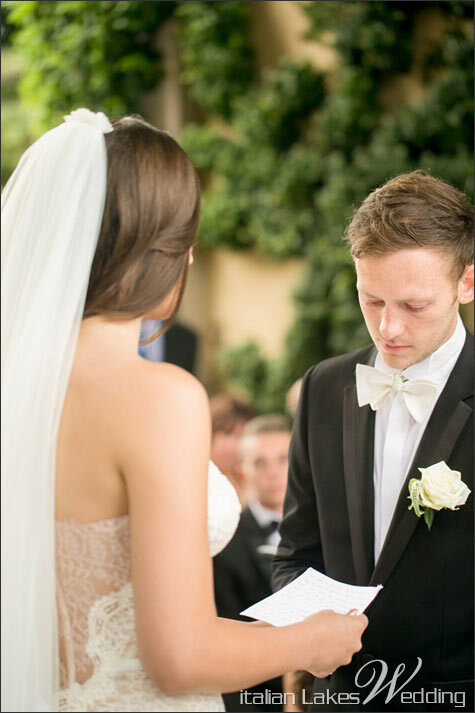 The last official moment to consecrate their union. They shared it with all their guests. After that, light were turned down and music become main character of the night! It’s time to dance and keep this perfect day in our memories forever! 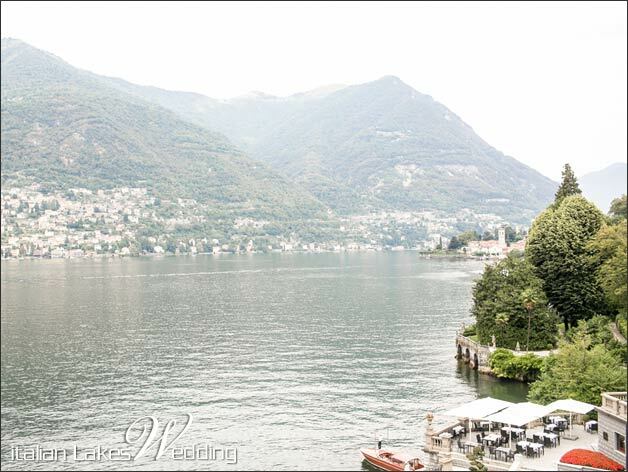 After going through all these photographs I am very much motivated for a Lake Como Wedding that is going to take place next year I suppose.